DO YOU WANT TO KNOW THE REALITIES FROM THE MYTHS? There are plenty of terrifying stories about the dentist, thankfully you can be rest assured that none of these things would likely happen today. If you want to know what really happens with a wisdom tooth extraction, then look no further. This post will give you an honest and detailed review on wisdom tooth extraction, what you can expect, as well as some useful tips on aftercare. First things first, forget all the stories you've heard! Every year in the UK, over 75,000 people have their wisdom teeth removed. Wisdom teeth are the third molars that usually come through between the ages of 17 and 25. There are some people that don’t have wisdom teeth at all! Lucky them. You can have up to 2 wisdom teeth in the upper and or lower jaw. New studies and research have developed which suggest that memories or fears can be passed down to children and their children and their children’s children (and so forth) through genes. Science has long debated the nature vs. nurture; however, new research has explained how seemingly ‘irrational’ or ‘random’ phobias can develop which are not taught or developed through learned experiences. An impacted wisdom tooth means that your wisdom tooth is not coming through the right way, if at all. This can cause problems with your gums, jaw as well as adjoining teeth. Impacted wisdom teeth do not always show symptoms and can sometimes only be identified in an x-ray. This is why it is so important to have regular check-ups with your dentist. For more information on Impacted wisdom teeth, and what that actually means, read our article on – Wisdom teeth, what you need to know. Your dentist may perform the procedure “in office” or will transfer your case to an oral surgeon. Most impacted wisdom teeth are removed in office by a qualified dentist, however, lets say if your case is particularly complicated, for example, if your wisdom tooth had a *horizontal impaction* this may be transferred to a dental surgeon and may be performed in a hospital. Many people do not know that having any tooth extracted is a form of oral surgery. 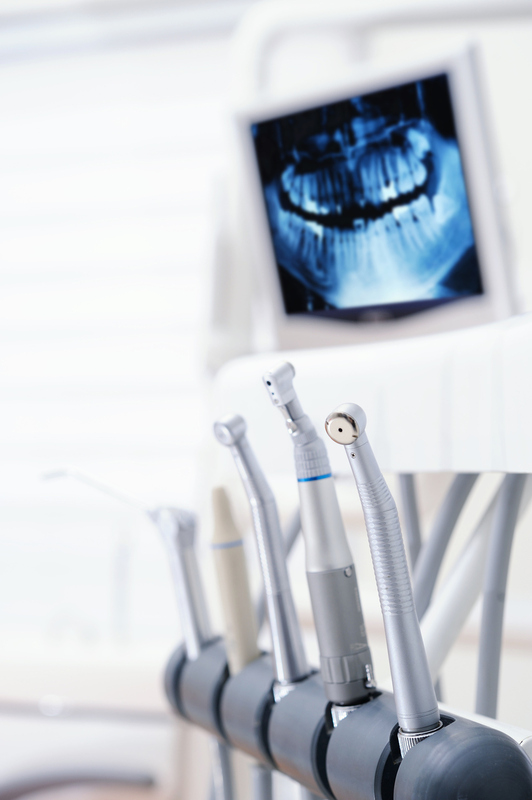 Patients should not feel apprehensive about this term, as it is a very common procedure whether it is done in a hospital or in the dentist’s chair. Similar to any other tooth extraction your dentist will administer a local anaesthesia to your mouth through an injection. This will ensure a pain-free procedure. Local anaesthesia is the most common type of anaesthetic used in wisdom tooth extraction. Sedatives are not used in regular practice, although if a patient has an acute phobia or anxiety when visiting the dentist, this may be given to the patient to help them relax during this procedure. If a patient has a complicated case such as a deeply impacted tooth, their dentist may refer them to a hospital. Just because this procedure is being done in a hospital, does not mean that it is not still a routine procedure. It just means that the skill set required is that of an oral surgeon rather than a general dentist. Wisdom tooth extraction in a hospital is usually carried out under general anaesthetic. The use of general anaesthetic is routine, however, does have additional risks. Your surgeon should discuss these additional risks with you. If your procedure is being carried out in a hospital, it is still likely that you will be leaving the same day. Wisdom tooth extraction should be a pain-free procedure. Whether it is done ‘in office’ or in a hospital. Widen the tooth socket by rocking the tooth forward and backwards if the tooth is fully exposed, before extracting. You may feel some pressure while this is being carried out. If your tooth is partially erupted or has not erupted at all, a small cut (incision) to the gum will be made to access the tooth. A small piece of bone covering the tooth may also need to be removed. Depending on the type of the impaction, where it can be done the tooth will be attempted to be extracted hole. Where this is not possible the tooth may be divided into sections, if it is easier to remove in pieces. Once the tooth has been removed, the site of the extracted tooth will be cleaned. In some cases, stitches will be used to close the wound and promote healing. Gauzes will also be placed over the extraction site to control bleeding and to help blood clots to form. Eat soft foods for the first few days. I scream ice cream! This bit’s not a myth; cold ice cream can numb and reduce swelling in the mouth. Take it easy for a few days, or at least until the following day. You do not want to dislodge the blood clot from where your tooth was removed. Take pain relief, your dentist or dental surgeon will advise you on the best anti-inflammatories to take. Rinse your mouth will salt water after 24 hours. Do not brush floss or rinse your teeth for the first 24 hours. If the site of the extracted tooth is bleeding, still try not to spit too much. Do not use a straw for at least a week – this can dislodge the blood clot from the tooth extraction site, inhibiting healing. Do not drink alcoholic, caffeinated or hot beverages for the first 24 hours. Refrain from smoking for as long as possible, smoking will increase your risk of infection and will slow down the healing process. The Brighton Implant Clinic was established in 2009, Hove, East Sussex. The award – winning clinic now spans over four sites in Hove, Brighton, Worthing, and Hailsham. Founder and principal dentist Dr Bruno Silva has created a clinic with state of the art facilities and equipment including its own dental laboratory. We provide personalised and affordable dental care, including dental implants and cosmetic dentistry solutions, with additional services such as sedative dentistry. Dr Silva and his team believe a smile is a gift that keeps on giving, confidence in your smile is confidence in you. Their promise is to provide patients with first class dental treatments with first class patient care.